apartment buildings with people looking thru windows, stomping on cars and eating yellow taxi cabs!" Ben received an award for the routine with the most spectator appeal. performed to Godzilla by Blue Oyster Cult. 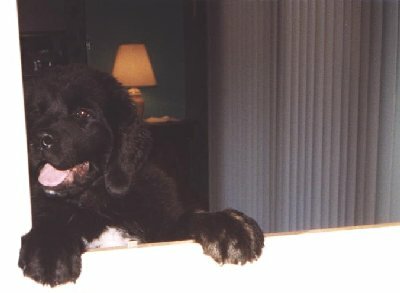 In September of 1999, Annie had a litter of puppies sired by Packard. 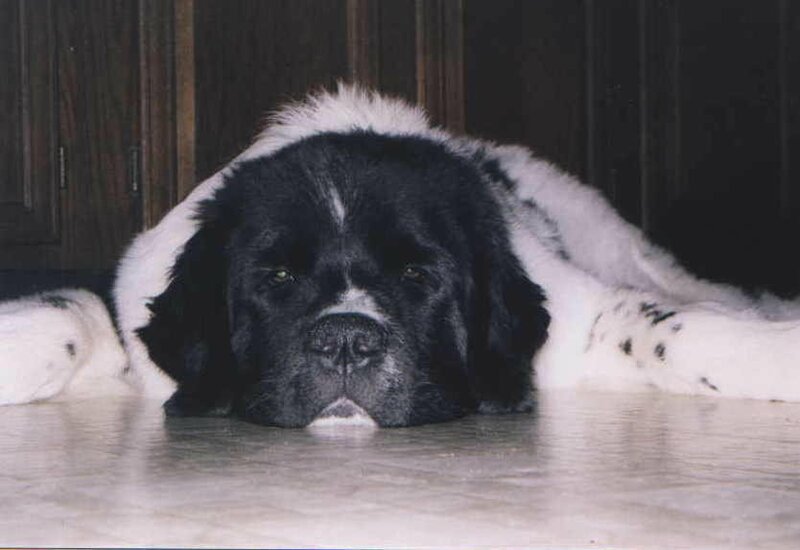 There were two beautiful males, one landseer named Rollo and one black recessive named Cosmo. They both went to wonderful homes that are planning to show the puppies. Cosmo is totally adored by Debbie and her family. 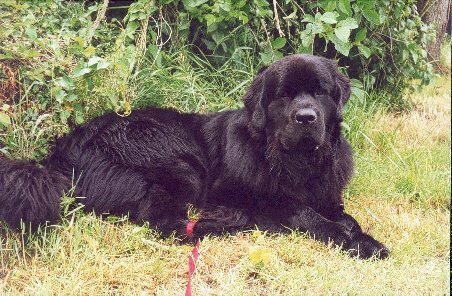 Debbie told us that an old time Newfie breeder saw Cosmo and told Debbie that he was the best Newfie puppy she had seen in ten years. His father, Packard, was like that as a pup. We hope he holds together as Packard has. We placed the landseer with Laurel. She called him Rollo and, it turned out, she was involved with something called freestyle. Freestyle is a training exercise where you teach the dog to follow certain moves that you make to music. Sort of like dancing with your dog. It is not an easy task and it is wonderful to watch. Laurel has an older dog, Gus, who has been very successfully doing this with Laurel for a number of years. She is now teaching this to Rollo, and at 14 months, he has made great accomplishments. 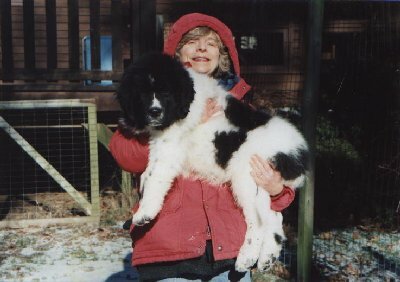 Rollo is a 135 pound youngster. Laurel weighs a lot less. In September, 2000, Rollo traveled to Hershey, PA for a freestyle competition. At his first individual performance at age 11 months, he took first place in his division. Rollo and Laurel were chosen to perform at an invitational event for over 400 participants at a grooming and training conference. When Laurel first picked up Rollo, she taught our LaaLaa to back up, turn around, and bow. It is wonderful, and with luck, we hope to get LaaLaa into it someday. If you ever have a chance to see this, don't miss the opportunity.